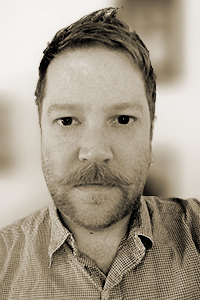 Michael C. Peterson’s poems are forthcoming in journals such as The Kenyon Review Online, Michigan Quarterly Review, Fence, Western Humanities Review, and elsewhere. He is the recipient of awards from the Bread Loaf Writers’ Conference and The MacDowell Colony. He is completing his PhD as an Elliston Fellow in Poetry at the University of Cincinnati.